Do you need a tow truck Buffalo NY locals have counted on for years? When you think about mechanical work on your vehicle, you don’t normally picture it on the side of the road. We understand. Normally, this kind of work would take place in a nice garage, with a roof over our heads and a full checklist, with the car raised and all the tools at our disposal, with an oily mechanic sliding under the car on a square skateboard-type object. Yes, we understand the roadside assistance services are not what springs to mind in these scenarios. ​However, in the Buffalo area, you’d be surprised how many instances of this there are. If you are searching for the best "towing near me" service in the Buffalo New York area then you've come to the right place. You never know when you are going to breakdown and you never know when you will be stranded on the side of the road and in need of assistance. That is why you should save our number on your phone now, to make sure that you know what to do if you find yourself in this situation (All of our contact details can be found on the website). We operate a Buffalo roadside assistance service that seeks to provide just what you need in a time of crises. We have compiled a light-weight toolkit that is suitable for most jobs, that we will bring straight to you so that we can get to work. We even offer a fuel delivery service for our customers within the greater Buffalo area. All of our vehicles are kitted out with GPS systems which means we won’t be driving around near you for ages trying to find your exact location. We will get there as soon as possible and get to work. 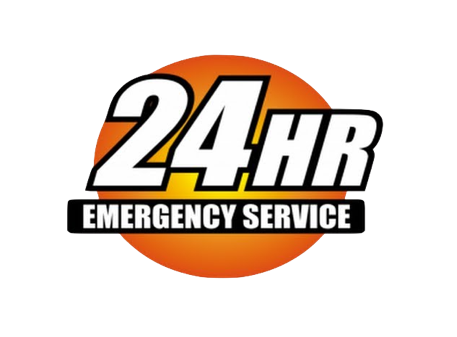 Call the company for roadside assistance Buffalo NY locals depend on. No matter what the problem with the vehicle may be, you can trust us to find the answer and, if we can’t on the spot, we are a towing service, too. So - you won’t be stranded for very long! Get in touch with us today or keep on reading to find out more. Our Buffalo NY tow truck services are in a great position to be providing you with roadside assistance support. Why? Because our team is fully qualified and ready to go at any time. We never skimp on training and we won’t send out rookies who aren’t yet experts on their own. Also - we only ever use state of the art, fully licensed equipment that is guaranteed to give you the best chance of a fix on the spot. If we can’t fix your vehicle because of a dead battery or for whatever reason, we won’t leave you stranded - we will make sure you are safe and happy with a plan of action in place. What Do I Have To Do To Get Emergency Roadside Assistance Near Me? First things first, save our number so you can call it whenever without 4G. But, if you need assistance and you are on the roadside, put the hazard warning lights on, step away from the vehicle, and ring us ASAP. If you have access to caution cones then it is a great idea to place them around the car. Then, find a coffee, sit tight and we will be with you in no time.